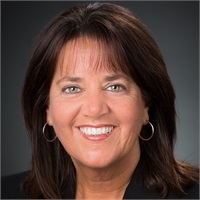 Karen Torrence joined Cornerstone Wealth Management in December of 2005. She brought many years of experience, having begun her career in the insurance industry working for Prudential Insurance for 18 years. From there she transitioned into the financial services industry, working 8 years as a registered assistant to an independent advisor with Walnut Street Securities. Karen initially joined CWM as a registered assistant to one of the two managing partners. As the firm grew, she moved into the role of Office Manager and is now the Chief Operations Officer. Her responsibilities include overseeing the administrative staff, on-boarding, the transition team and processing the payroll for all employees and advisors. She holds the FINRA Series 6, 7 and 63 registrations through LPL Financial and the Series 66 registration through both LPL Financial and CWM. Karen and her husband Jeff have been married since July of 1986. They have two sons, Adam and Brett. When not working, Karen loves being outdoors in warm weather and enjoys traveling and spending time with family and friends.